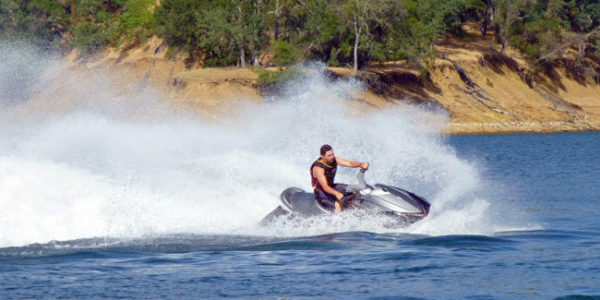 Jet skis are also known as WaveRunners or Sea-Doos - depending on the manufacturer. 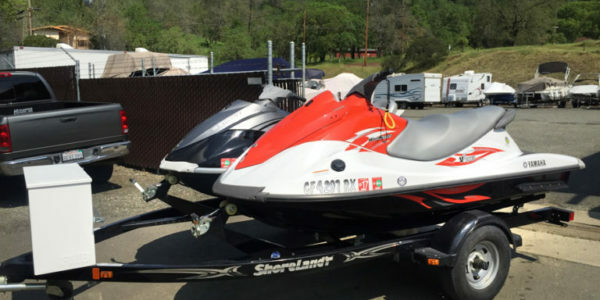 But they're all jet skis raring to go! 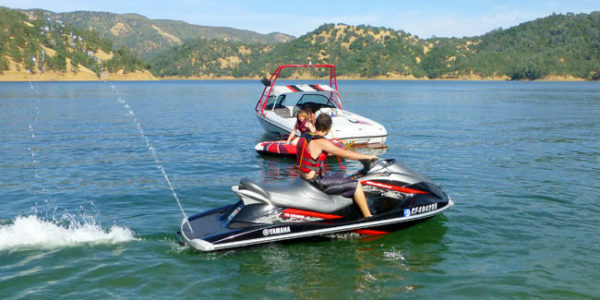 Lake Berryessa Boat & Jet ski Rentals offers the best rentals both in quality and price. 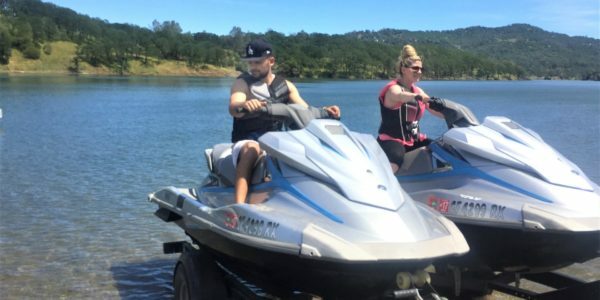 Our jet ski rentals and waverunner rentals are well-maintained and we have lots of them for your awesome weekend at the Lake. 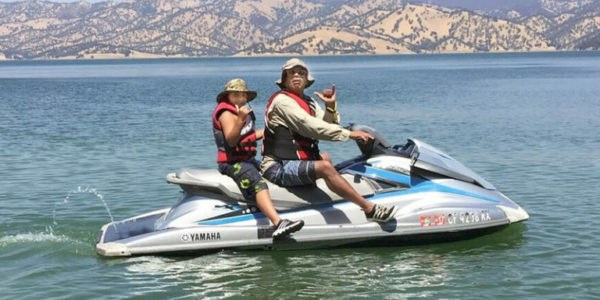 Our Yamaha VX110 Deluxe & Cruisers Jet Skis - WaveRunners are the most comfortable and best-selling personal watercrafts of all time. They have great handling, make tight turns, and are very comfortable. They are great for beginners, safer for kids, and have enough power to keep seasoned riders on their toes! The engines are 1100cc and they rev-up to 8,000 RPM’s!! They deliver great performance and reliability. They are the most fuel efficient PWC’S ever built! They all have a top speed of 58 MPH, with a narrow comfortable feel about them. 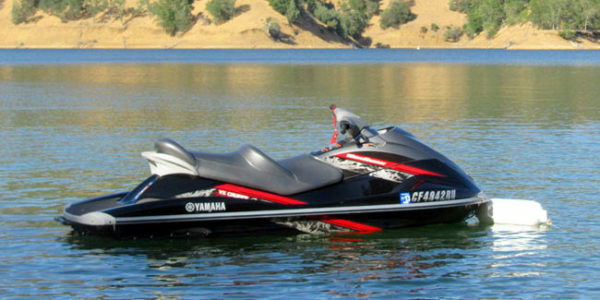 The extended swim platform in the rear, has a padded step that makes it easy to get back on the Yamaha WaveRunners after taking a swim. 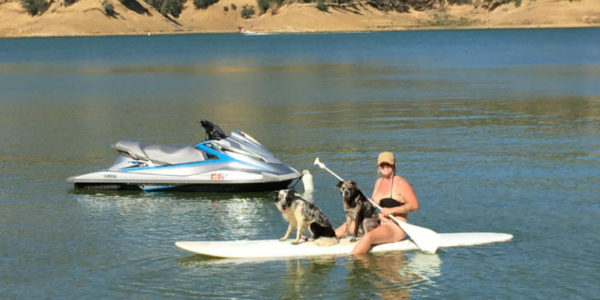 Models 1-7 are our VX110 Cruisers, they all have an easy to use re-boarding step that makes it more convenient to get back on, however, they are all easy to re-board. 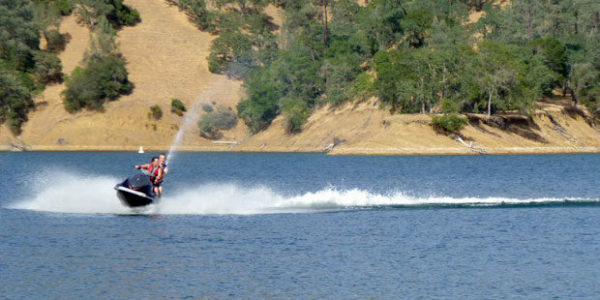 They have plenty of power for two adults up to 500 pounds total, or one adult and two children. 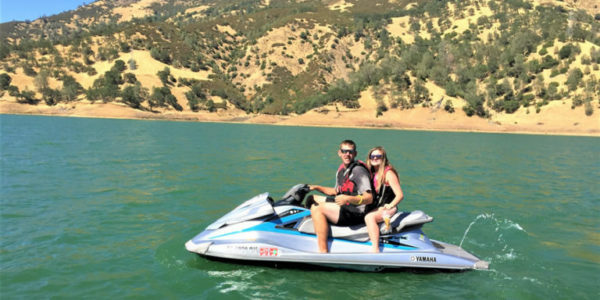 Everything about these Yamahas will keep your family and friends riding until the sun decides to call it a day, and will have you coming back for more!